While the original 'Beneath The Lights' by Brooklyn duo Cool Company is an intimate stream of warped ukulele sounds and trickling textures, exuding this atmosphere of sun-drenched romance, some fluidity of emotion existing in its slow closeness, the lips-to-ear silken vocals—while all this is true, this remix turns things up a notch, takes this atmosphere and expands it, increases the tempo and casts a level two spell of danceability with undeniable body moving effects. Set now to a lightly shuffling house beat, joined by electro tom accoutrements, a soft indomitable bassline swoons with subtle elasticity and low robust tones, gorgeous repetition of the plaintive groove the actual backbone of this new rendition—"adding a groovy spin to it to make you nod your head," the remixer himself Jean Tonique tells us. The quicker pace of this track takes away the personal nature, somewhat, of the original, with the vocals now faster, more like something you can sing along to rather than something to be serenaded by, as in the original. With this, cool mists of synth veil the beat, pockmarked by sidechain, melting paradise steel pans, sharp guitar licks adding to this sense of tropico-casual, this hand-in-pocket slow sway with a holiday romance feel of it, the undeniable cool now heightened. 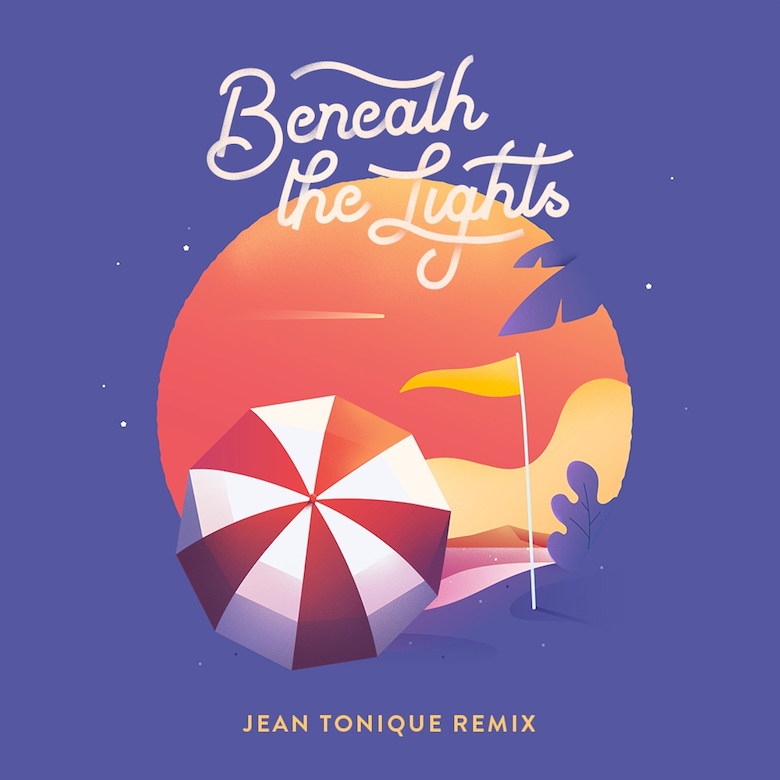 It feels very much like the precursor to or the aftermath of the intimacy of the original track, Jean Tonique moving the soul of it from the sultry confines of four walls and carnal romance and leading them outside, out into the open to feel the world, truly under the lights, for a spin beneath an aching vast sunset on a tropical sky. 🔔 You can download this track for free, as you can see above.